CORE40 Instructor Bryan doing Fifth Lunge on the Megaformer. Sebastien Lagree is a former personal trainer and body builder who developed Lagree Fitness, a new and innovative high intensity but low impact workout. The workout is for both men and women and is done on a very specific machine called the Megaformer. The equipment is made up of platforms and handles that are used to stimulate the body and address all physical fitness needs including strength, endurance, cardio, flexibility, core, and balance. What most don’t know, however, is that Lagree invented the Megaformer and method after recognizing the shortcomings of workouts that are generally dominated by men – weight lifting, cross fit, boot camps etc. 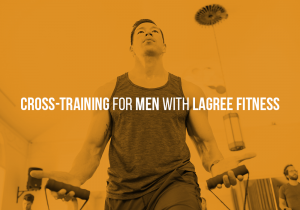 Men who practice Lagree Fitness regularly see an increase in physical fitness and a decrease in injuries, which makes the method a perfect addition to their routines. Guys are doing too much of the same thing in their workouts, which is a barrier for their muscle gain and this repetition can plateau progress or even cause regression in their training (Lagree). For instance, a marathon runner who focuses on strengthening their core muscles will run faster and longer than a runner who only trains by repeatedly running the length of the course. Plus, the latter runner in the example would have put more stress on their joints than the former, which could cause injury later down the road. 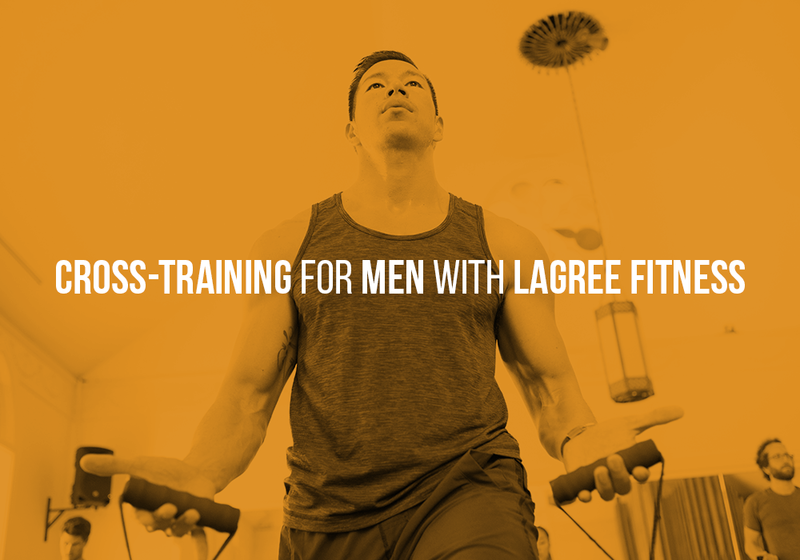 Since Lagree is tension based, there is little to no impact on the joints, yet regular clients still experience the same muscle gain benefits that men train for in higher impact workouts like weight lifting. If men lift less and incorporate other forms of training into their regimen, they’ll see benefits in overall endurance, muscle gain, and stamina. Clients who regularly cross train with Lagree Fitness will notice improved core strength in any regimen, and it will increase their physical performance, while also reducing the chances of injury that are common in higher impact workouts. If you are ready to try a workout that has most men saying, “Whoa, that was harder than I expected,” sign up for a CORE40 Megaformer class.